SureCall Fusion2Go for vehicles boosts data, voice, text and 4G LTE for all major North America cell carriers- including AT&T, Verizon, Sprint and T-Mobile. 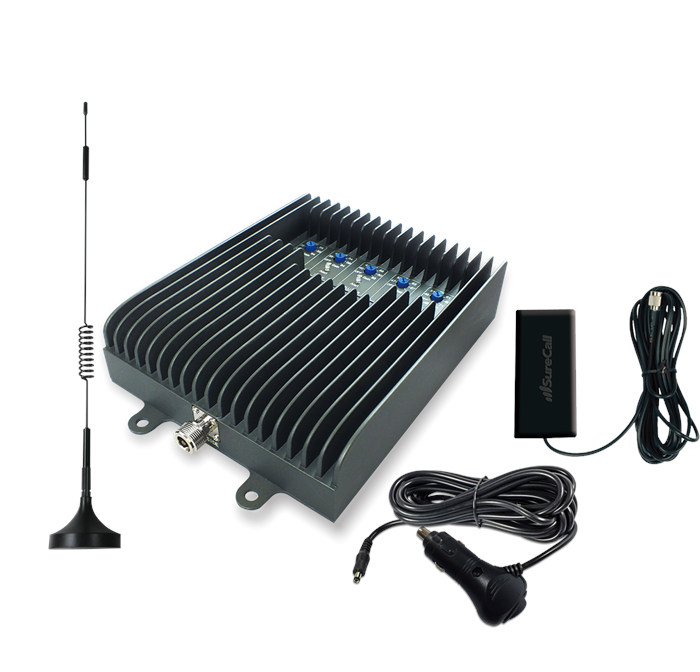 SureCall cell phone signal boosters are ideal for use with hands-free cell phone car systems or Bluetooth devices. The Fusion2Go kit can be configured to fit vehicles of all sizes and is designed for use in: Cars, SUVs, Convertibles, Vans, Trucks and Limousines. Kit Includes: Fusion2Go cell phone signal booster, magnetic roof-mounted antenna, interior patch antenna (with Velcro mounting tape) and standard 12V DC power adapter.